﻿ How to Integrate Humor into Your Content Strategy (And Why You Should) » Red Mango Marketing! Well, he didn’t actually say that. But, you can bet he’d say something similar if he lived to see the rise of the internet and today’s content revolution. With over 2 million blog posts published every day, it’s not easy to create content that stands out from the crowd. Boring old list posts and click-bait titles don’t work anymore. To get your readers to stick with you until the very end, make your blog posts entertaining or informative to read. Both is even better. Here are a few ways to add a little humor to your blog posts to make them a little more entertaining to read. There’s nothing more generous than making someone laugh. Well, except giving away money. Either way, you can truly connect with a person by putting them in a cheerful mood. Humor comes in handy especially when you’re writing about a dull and a boring topic. For example, how do you write about a topic like bird seed without making your readers fall asleep? Well, have a look and see how the Bird Food Store blog does it. Just look at that subhead. Doesn’t it make you say “Wow I didn’t know that”. 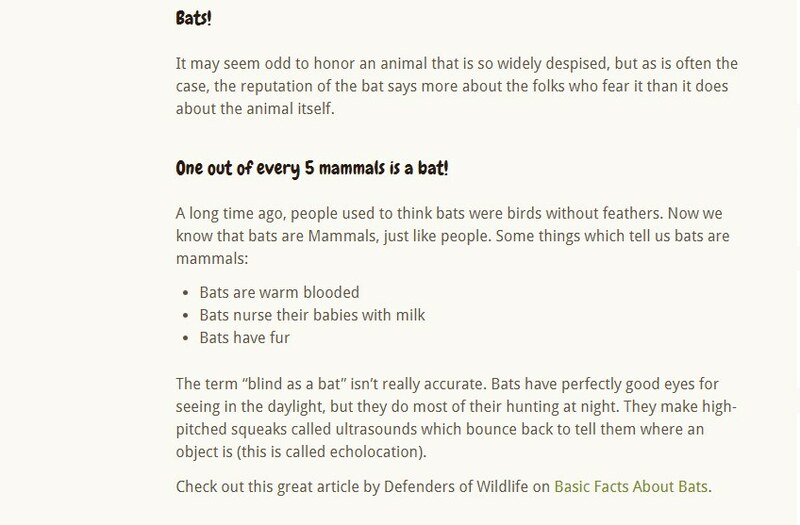 Who would’ve thought you’d love reading about bats. You don’t have to go to extreme lengths to make your blog posts humorous. Adding a little bit of subtle humor is all it takes to get your readers interested in your blog and business. It will not only put them in a good mood, but it’ll also humanize your brand as well. If a picture is worth a thousand words then a GIF is probably worth 10,000 words. While images are great for adding visuals to your blog posts, GIFs make those images extra fun by adding animations and interactions. It’s way better than using those cheap stock photos. Dollar Shave Club is good at using GIFs to add humor to their blog posts. GIFs are also really easy to find. You can explore millions of GIFs by going to a site like Giphy or Tenor. 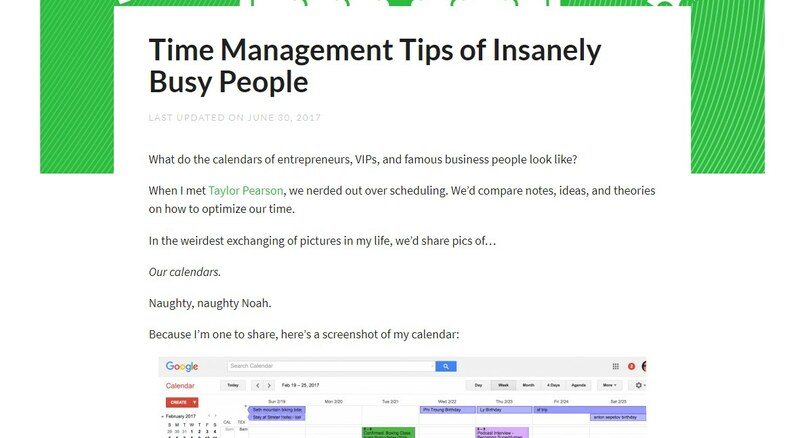 Then you can pick a GIF and use the embed code to easily add them to your blog posts. If you’re not a fan of GIFs, you can still add humor to your blog and website using cartoons, illustrations, and comics. 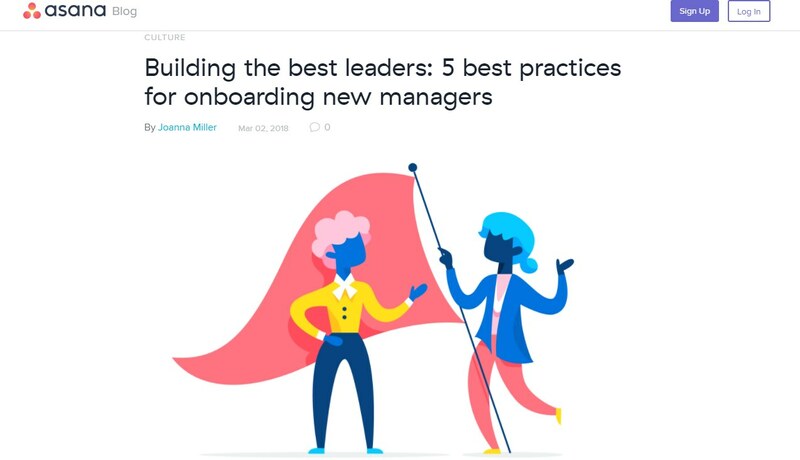 Just like the Asana blog, you can also insert relevant cartoon illustrations and comic strips to lift some of the weight off your serious topics. You can create your own comic strips online using tools such as Canva and the Storyboard Creator. Or you can find cartoon illustrations from Freepik and Vecteezy. You can download and use images from these sites for free. Just remember to link back with image attribution. Sometimes, you don’t have to upload cartoons or embed GIFs to add a little bit of fun to your blog posts. All you need to do is put yourself in a fun mood and write content without getting too serious about the topic. You can tell stories, joke around a little, add funny anecdotes, and reminisce about your awkward encounters. People love it when you get personal in your writing. Noah Kagan is a blogger with a fun personality. In addition to showing his love for Tacos through his OKDork blog, Noah often shares funny personal stories and make subtle jokes to attract the audience. Can you give a personality to your brand’s blog? As it turns out, you can! 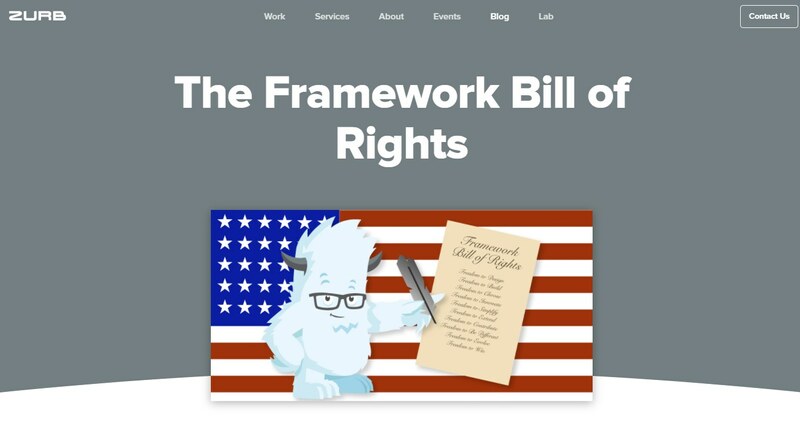 Zurb Foundation often uses its mascot in its blog posts and header images to add personality to its blog. Creating a mascot for your brand blog is not that difficult. You can buy a pre-designed website mascot from a site like GraphicRiver or Creative Market for under just $10. Humor doesn’t always have to mean jokes. You can also use cuteness to your advantage. Adding a few pictures of kittens and puppies will always bring a smile to anyone’s face. Depending on the type of content you create, you can come up with your own unique ways to integrate humor into your blog. Just remember to pick the right moments and the right topics to add humor. There’s a right time to laugh and a time to be serious. 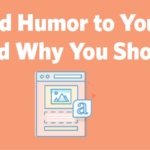 The post How to Integrate Humor into Your Content Strategy (And Why You Should) appeared first on Constant Contact Blogs. This entry was posted on Monday, April 23rd, 2018 at 8:00 am	and is filed under content, Email Marketing, News & Updates. You can follow any responses to this entry through the RSS 2.0 feed. Both comments and pings are currently closed.